Does the child live in Bedford County or attend a Bedford County School? If not, what team did the child play for last year? Does the child have a Handicap/Illness/Allergies that his/her coach needs to be aware of ? * First Christian Church T-Ball Committee ensures that siblings are placed on the same team. 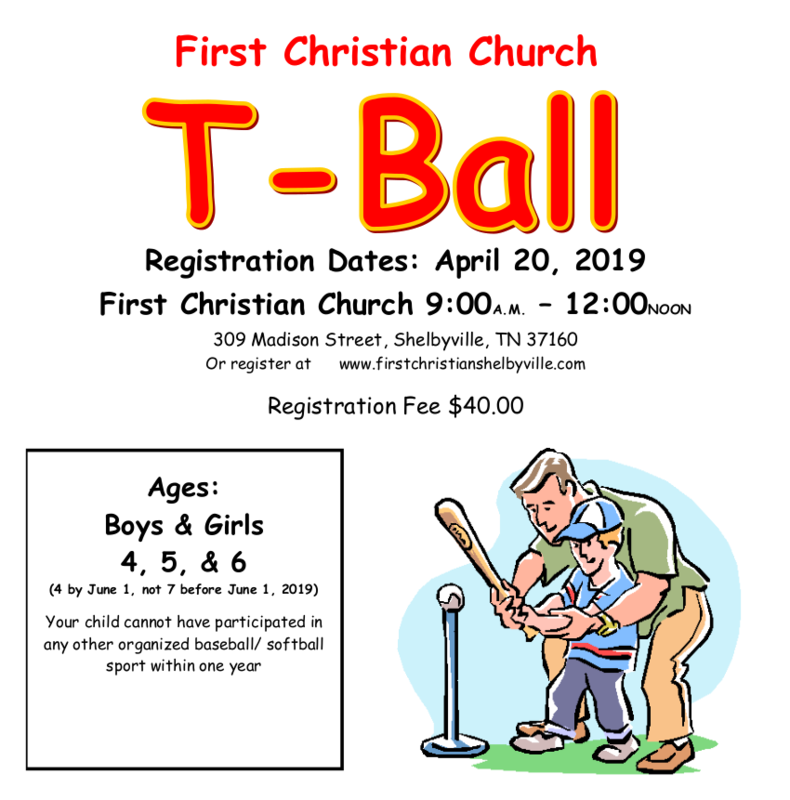 In order to ensure that each team has an equal amount of players by gender, age and overall the FCC T-Ball Committee does not recognize request to be placed on a certain team unless there is a hardship situation. Each hardship situation is reviewed by the committee and discussed with those involved. If you have a hardship situation please outline on the back of this form.